Description: Two films reeled up together. The first "A Wheelhouse at A'Cheardach Bheag Drimore, S.Uist" is a short film showing the the artifacts taken from that site being arranged and finally displayed. This film does not show the actual excavation on South Uist. 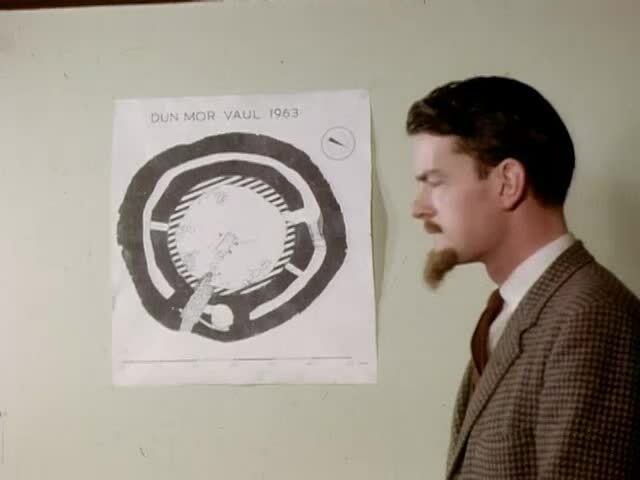 The second longer film "Dun Mor Vaul Tiree" shows the excavation of a broch? on the island. The cataloguing of this collection was assisted by referring to the handbook "Scotland's Roman Remains" written by Dr. Lawrence Keppie.